Donald Trump and Russian friends, playing the long game for urban America’s benefit. CHARLIE ROSE: Why does the president find it so hard to criticize Russia? STEVE BANNON: Charlie, let — this is what stuns me. I don’t think the president goes out of his way — what his point is, why pick another fight? We’ve got enough problems around the world. STEVE BANNON: He criticizes the Russians all the time. He knows the Russians are not good guys. We should be focused on how we bring the Cold War to an end, so we don’t have to — and I think it was President Obama’s program, $1 trillion to upgrade the nuclear arsenal. Is that what you wanna do? Is that where you wanna spend your money? Would you rather spend $1 trillion in Cleveland, in Baltimore, in the inner cities of this country where we need to spend it, in the heartland of this nation? And I think what he’s trying to say, in a world of anarchy, do you need another enemy? Okay, so per Bannon, Trump’s strategy is to make friends with Putin so that he can cancel the Obama administration’s planned nuclear upgrade and shift those funds into urban spending. 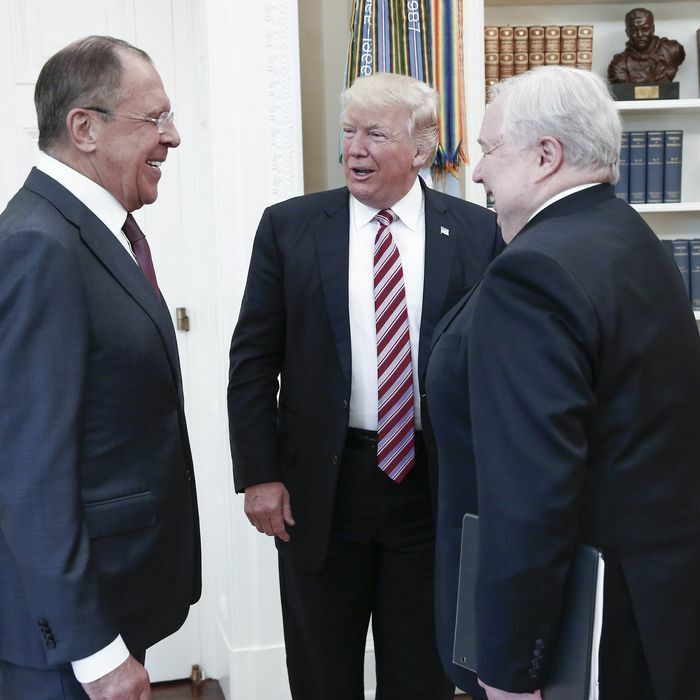 Trump apparently desires this so fervently that he has courted all sorts of opaque financial ties to the Kremlin, defended Putin’s murdering of journalists as strong leadership, impugned American intelligence agencies for concluding that Russia interfered in the election, given Russia valuable American intelligence, and so on. This is all quite a stretch, but the back half of Bannon’s theory is where the argument really starts to fall apart. Trump is not actually canceling the nuclear-modernization program. He is boasting about it. Also, the part where Trump spends more money on helping people in inner cities hasn’t really happened, either.